Taking the lead from the market leading Megaflo Eco, Megaflo Eco Solar provides an abundance of hot water for fast filling baths and invigorating, powerful showers. Running costs are kept low by harnessing the sun's energy to provide the hot water. This is achieved in conjunction with a separately available solar thermal package, which includes solar thermal collector flat plate panels or evacuated tubes. Megaflo Eco Solar has a dedicated large surface area indirect heating coil. 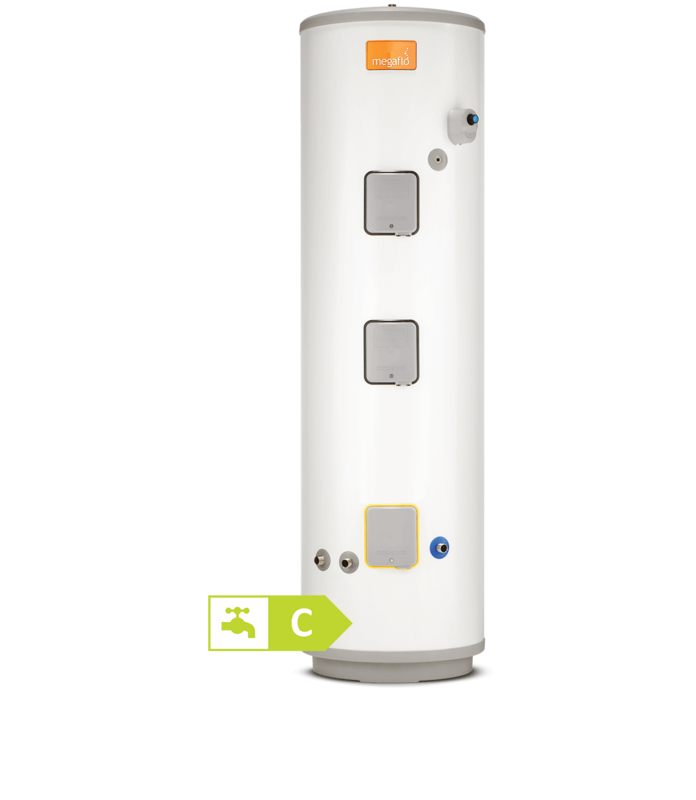 For top up heating, there is a choice of models with either a second indirect heating coil for connection to a boiler or with electric heating elements.